We drove in all directions to visit the best barbecue joints around. Dig in for the delicious details, then hop in the car, turn up the tunes and enjoy your very own flavor-packed road trip. Photo by Brandon AlmsTake a road trip to The Fillin' Station in Lampe to taste some juicy brisket. When you have a craving for good ’cue, nothing else will do. Once you catch a whiff of smoke billowing through the air, all you can think about is feasting on a messy rack of ribs or a hefty slab of brisket. You have a hunger for meat. Juicy, smoky, fall-off-the-bone-flavorful meat. Barbecue cravings are very real, and we went on a quest to feed them—no matter how many miles it took. We rounded up 25 for you to choose from. 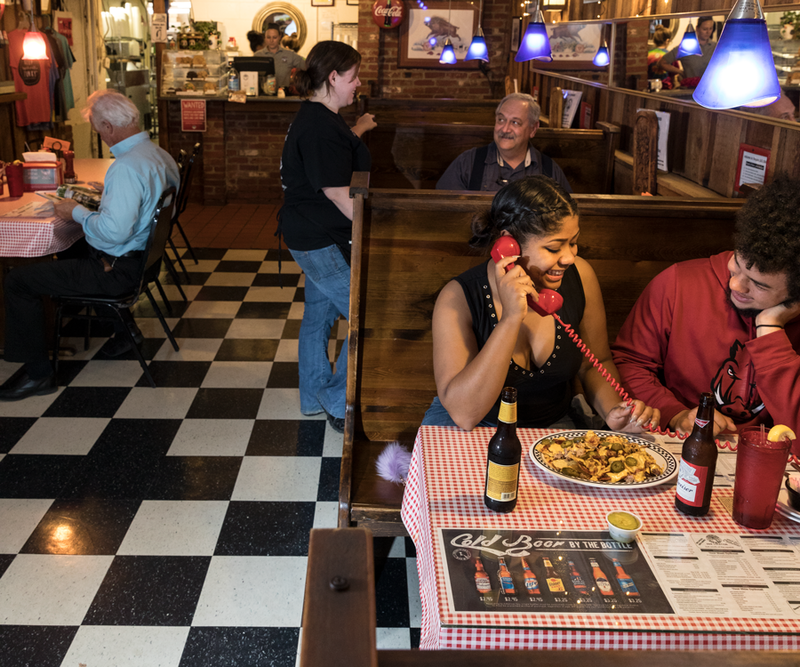 Penguin Ed’s has three locations in Fayetteville, but the B&B location near the University of Arkansas is our favorite: guests place their orders from phones housed at each table. 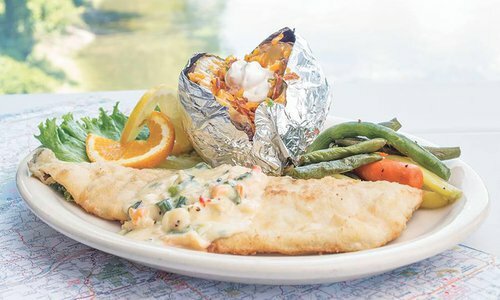 Step inside Penguin Ed’s B&B (230 South East Ave., Fayetteville, 479-521-3663) on a weekday afternoon, and you’ll see booths packed with hungry guests and hear happy chatter filling the air. This hot spot is one of three Penguin Ed’s locations, and it’s housed in a landmark building known for its old wooden walls, black and white checkered floors and red telephones at each table—phones that guests use to place orders. “That’s something we left from the former owners,” says Ed Knight, who owns Penguin Ed’s with his wife Diane and purchased the building for this location in 1998. Another thing Knight kept going here was a fryer, which allows the staff to cook up deep-fried favorites including hand-dipped and battered onion rings, hand-dipped and battered French fries and homemade pies that are cooked to order. “This location is the only location with a fryer,” Knight says. And that’s a great thing for sweets lovers, because the fried pies here are worth a trip on their own—the pillowy cinnamon-sugar sprinkled crust is the perfect vehicle for keeping the gooey, bright fruit filling warm until you’re ready to bite in. Oversized homemade cookies that are made from scratch and baked fresh every morning are another dessert option up for grabs. 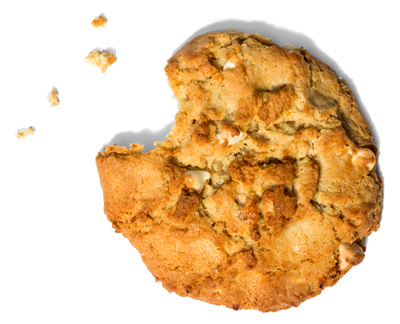 “When people ask me the best thing we have, I tell them it’s our cookies,” Knight says. After one bite, you’ll agree the treats are worth such bragging rights, but you should know Knight is being modest in failing to mention the slow-smoked meats up for grabs—the foundation on which he built his business. “My favorite meal to eat is the smoked half chicken,” Knight says. And several long-time employees agree, noting the unmatchable smoky taste you savor in each bite. Others come for the ribs—they’re so meaty that a single rib is enough for lunch—and the jumbo pulled pork sandwich impresses with meat spilling from its sides. “Our No. 1 selling item is the pulled pork sandwich,” Knight says. The baked potatoes are also popular—they weigh a pound themselves before being loaded with smoked meat, cheddar, bacon, mushrooms and broccoli. But no matter what you eat for your meal, be sure to save room for a pie, and then get a cookie or two to go. Just don’t plan on them making it all the way home. Brisket sandwiches at Skinner’s Ribs & BBQ come packed with plenty of meat, and you’ll crave more of the smoked mac and cheese long after you leave. 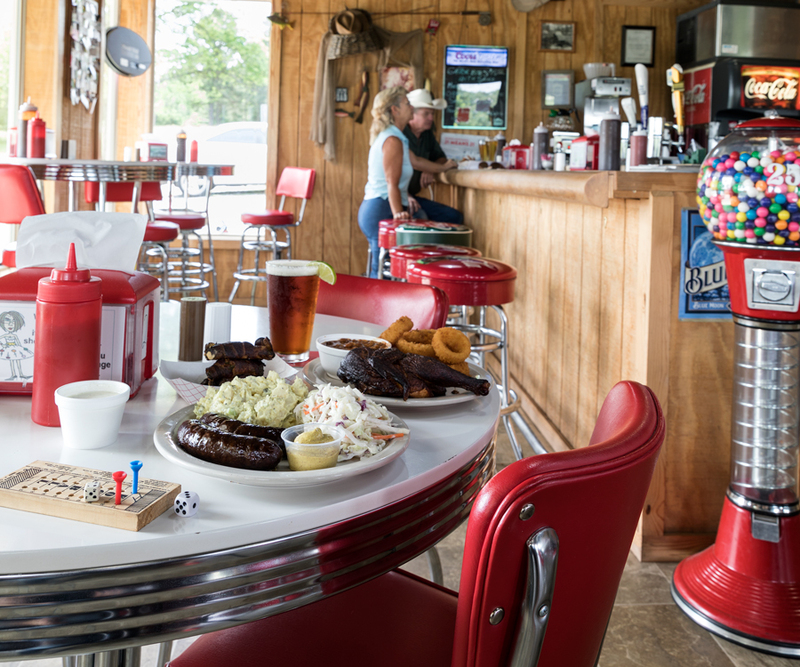 When we think of a road trip, we think of spending several hours in the car, which is why we filled this story with barbecue joints located hours away. But once we got a mouthful of the pulled pork at Skinner’s Ribs & BBQ in Rogersville (417-753-2845), we knew we had to break our own rule—the stuff is too good not to share. 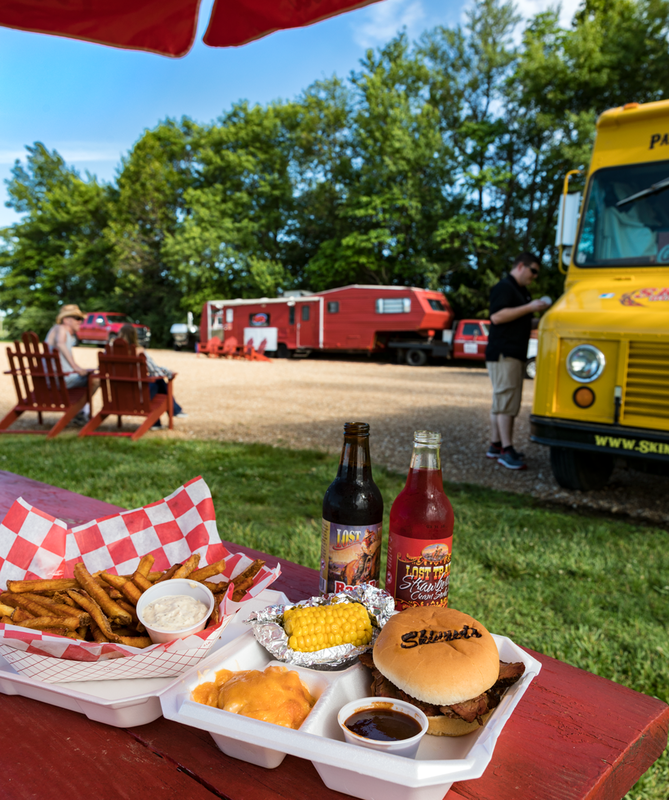 After you jump on Highway 60 and head east, you’ll be at this big red food trailer in less than 10 minutes. 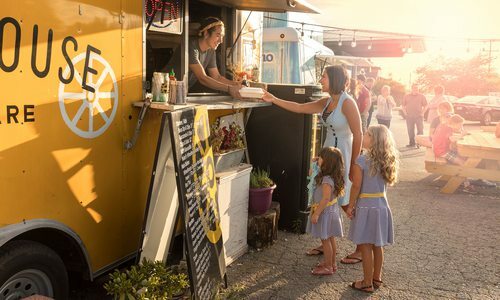 The place is a destination—there are Adirondack chairs, picnic tables and lawn games so kids can play corn hole as mom and dad wait to get food—food that’s made from recipes that have been perfected since the truck opened 20 years ago. 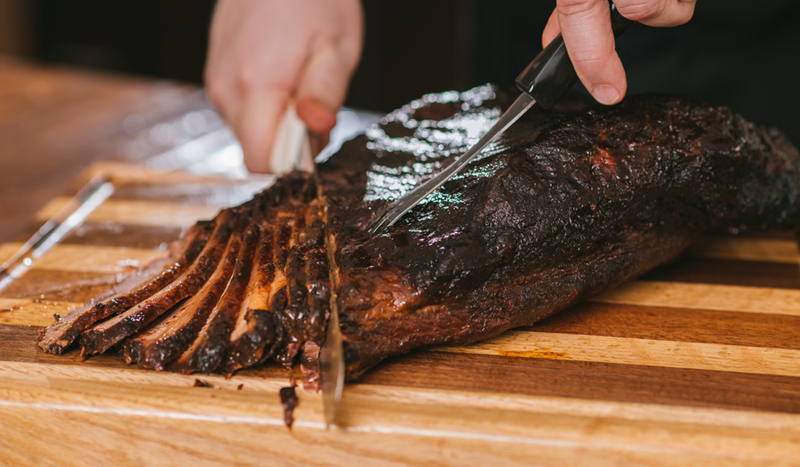 “I first started smoking country-style ribs out of the barn on my family’s farm, and I’d share them with my friends,” says Skinner’s owner Jeff Felton. When cars started stretching down the road, he knew he was onto something. Two decades later people are still lining up for those ribs, but they won’t find them by name. The ribs are called pulled pork on the menu—Felton has pork butts sliced into country-style ribs before he smokes them. He keeps the pieces whole after pulling them off the heat and then serves the pork in fat, juicy chunks rather than shreds. “If anything falls apart too much, he’ll add it to the baked beans,” says his wife and co-owner Valerie. This makes for meaty beans and extra-flavorful pulled pork—the kind that’s so moist it leaves a puddle of juices behind. You’ll also love the burnt ends here, and the brisket melts in your mouth. Eat it on a sandwich served in one of the spot’s branded buns, or try it solo with a side of smoked mac and cheese—Val’s specialty made with their smoked cheddar. After your first bite, you’ll agree it’s worth waiting in line for. 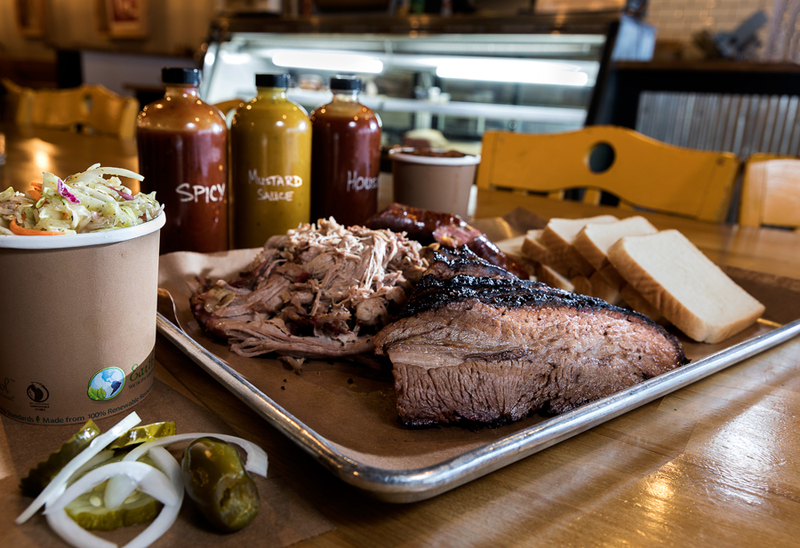 The Hickory Smoked Combo plate comes with your choice of meats and sides, and we opted for brisket and turkey with creamy potato salad and crunchy coleslaw. 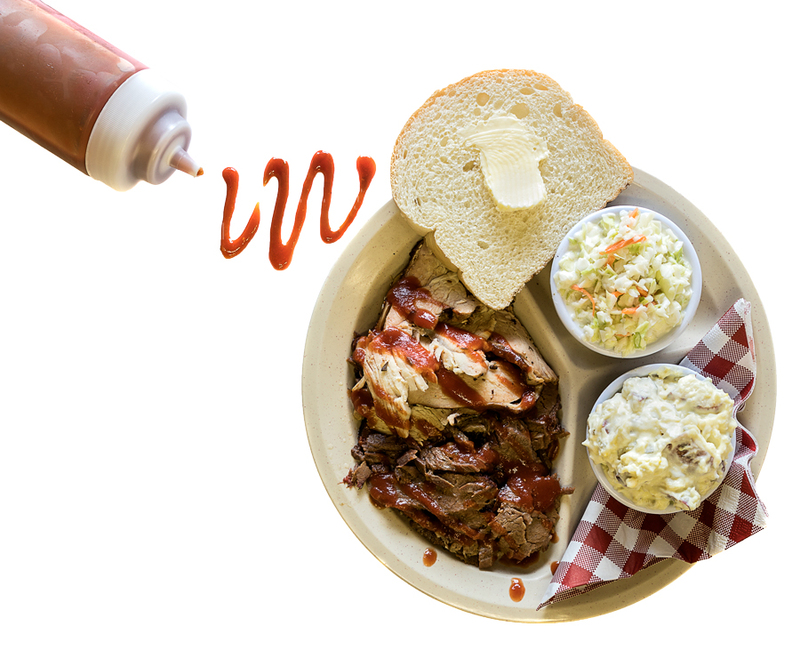 Top the meat with homemade Smokin’ Dave’s Bar-B-Q Sauce for an extra layer of smoky-sweet flavor. If you want something done right, do it yourself. That was the mind-set of David and Cindy Burkin when the two moved to Lampe from Kansas City 28 years ago and couldn’t find KC-style barbecue. David started smoking meats and crafting plates in a trailer, and the two took on catering jobs. When they realized they could do the real deal, they opened The Fillin’ Station (6741 State Highway 13, Lampe, 417-779-2727) in January 2008. It’s not hard to tell why it’s called The Fillin’ Station. License plates from around the world, signs with vintage gasoline logos and automotive products fill the walls. There’s even an old-school gas pump inside the door. Sit anywhere you want, or join David at the table behind the counter where he shares stories about his granddaughters, Scarlett and Aisla Mae. Cindy buzzes around, bringing napkins, convincing people to order dessert and calling everyone “baby” and “honey.” Their daughter, son-in-law and other family members serve up plates of brisket, chicken, turkey, ham, pulled pork and ribs that have been smoking for hours. 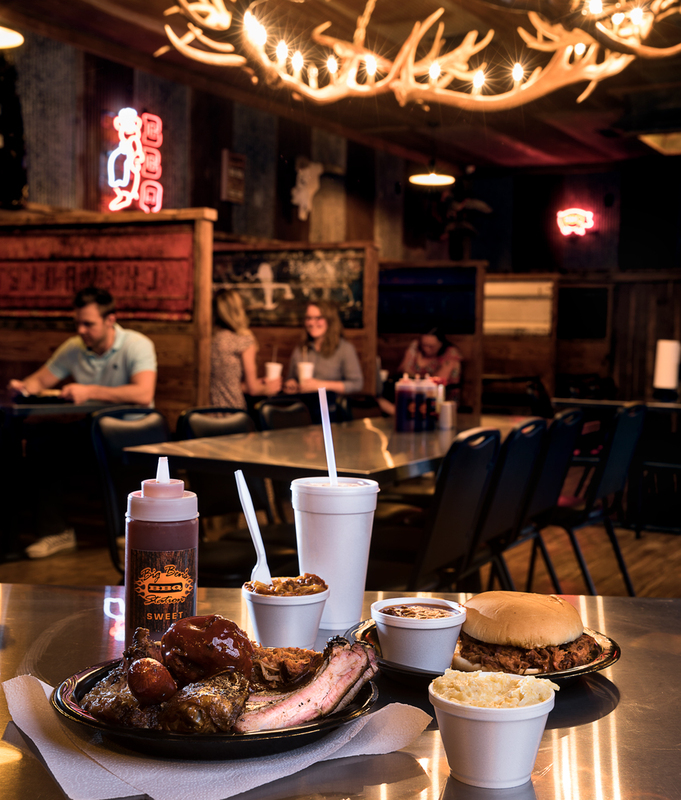 Everything has been seasoned with the couple’s special blend of spices that took David eight months to perfect—just one example of his mission to bring great barbecue to the town of Lampe the only way he knows how. A collection of diner decor brings a nostalgic vibe to Crumpie’s 11-Point Smokehouse. We love the smoked bratwurst, slow-cooked until plump and juicy. These regular customers are responsible for keeping Crumpie’s hopping, but there are plenty of other diners who pop in while passing by, too, like when they’re floating on the nearby Eleven Point River. But regardless of who you are, you’ll find the small town charm here alive and well. It’d be easy to go on about the idyllic appeal of this spot—the wooden games on each table, the Coca-Cola memorabilia, the food served on checkered wax paper—but it’d be a crime not to give full credit where full credit is most certainly due: the meats. 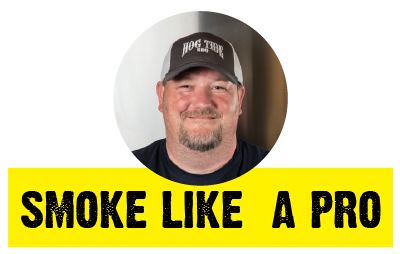 They’re smoked by Brent “Crumpie” himself, and he does it out back in a couple of homemade smokers—one made by Tina’s father and the other made by her uncle Joe. 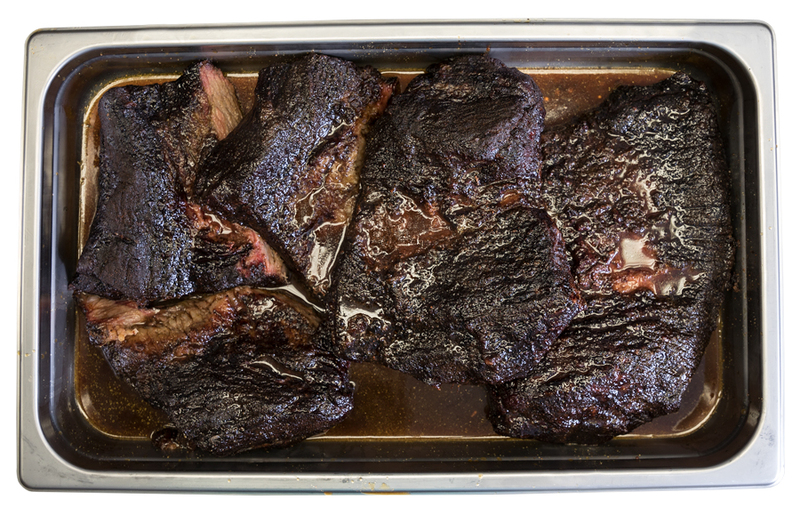 “I smoke most of our meats using three woods—hickory, cherry and apple,” Brent says. Customers of Crumpie’s love the half-chickens, ribs, pulled pork and bratwursts as well as some to-die-for jalapeño poppers that are stuffed with a barbecue rub–spiked cream cheese and lovingly wrapped in a blanket of bacon. They also rave about the smoked quail, burnt ends, pork tenderloin and charbroiled steaks. Regardless of your meat of choice, though, start with an app, and save some room for a side—any of which can be accompanied by homemade ranch upon request (and that’s a request that’s definitely worth the splurge). “We go through about eight gallons of homemade ranch dressing a week,” Tina says. “We make it fresh every day.” And as a dipping agent for those smoked poppers, it’s a match made in heaven—a heaven you’ll find after a three-hour drive. 1. Visit Greer Spring: Located about 30 minutes from Crumpie’s, Greer Spring is the second-largest spring in the Ozarks and pours an average of 222 million gallons of water into the Eleven Point River each day. 2. Take a Hike: Check out the collapsed cave system at nearby Grand Gulf State Park. Sometimes referred to as the Little Grand Canyon, the gulf stretches for more than a mile between 130-foot-high walls. 3. Go Floating: Rent a canoe, kayak or raft at Eleven Point River Canoe Rental (417-778-6497), then hop on the river and paddle off those (well-worth-it) barbecue calories. Try to get through Big Ben’s Sampler, serving three ribs, pulled pork, sliced brisket, a hot link, a meatball, a chicken thigh, Texas toast and two sides. When Carthage native Ben Weaver opened the first location of Big Ben’s BBQ Station inside an old gas station in Cherokee, Kansas six and a half years ago, he quickly outgrew the small town. He had an opportunity to move to Pittsburg, Kansas one year later and found another old gas station six blocks from Pittsburg State University. He found a catering niche there and got a lot of business from students. In 2014 he needed to move back home to 417-land, which is when he opened the current location (2817 The Loop, Carthage, 417-237-0752). This time it’s not in a repurposed gas station, but the old-school vibe is still there. Ben’s homemade meatballs are smoked and covered in a sweet, brown sugar barbecue sauce. Walk into the restaurant and you’ll be greeted with signs letting you know you’re in the country, a bulletin board with community event schedules, taxidermied deer and a smiling face at the counter. Regulars know what to do: Grab a menu from the bin at the end of the counter, think about your order and be ready to say whether you want a small or large side of cheesy potatoes. (You always want the large.) Fill up your drink at the soda fountain built into an old truck bed, and find your seat in the newly expanded dining room inside booths that Weaver himself built with reclaimed wood and truck tailgates. Weaver crafted the menu with recipes he learned from his mom and adapted to create his own style of barbecue similar to Kansas City–style with a little Ozarks flair. Drizzle a homemade mild, hot or sweet sauce on your brisket, ribs, chicken or pulled pork and be happy that Weaver isn’t in Kansas anymore. 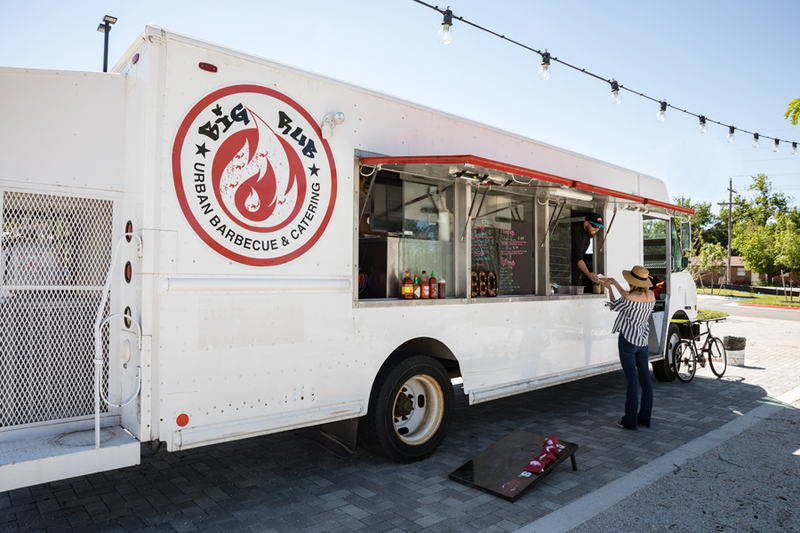 The Big Rub BBQ and Catering food truck is parked in a lot next to Bike Rack Brewing Co. After grabbing your food, grab a beer and lounge awhile. like sauce. Ridiculously indulgent, right? This one-of-a-kind creation actually exists. It’s the Jordan sandwich, and it’s one of the most popular items served up at Big Rub BBQ and Catering’s food truck in Bentonville (located in the 8th Street Market parking lot by Bike Rack Brewing Co.). 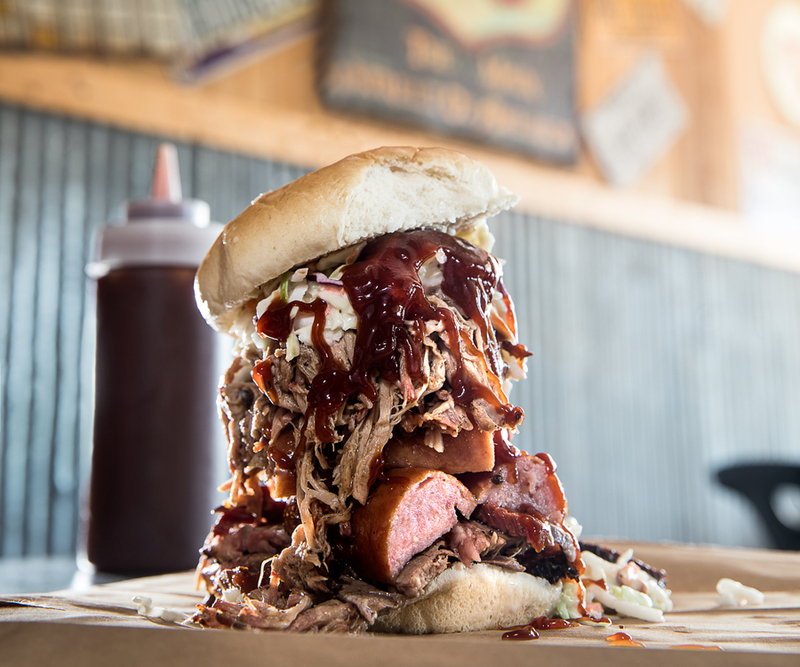 You’ll also find the sinful sandwich at Big Rub’s restaurant, Big Rub Urban Eatery (located in the Walmart Supercenter in Rogers, Arkansas), which serves the delicacy alongside more one-of-a-kind creations dreamed up by general manager and pit master Jordan Poole. “Our food truck is a condensed menu of our best-selling stuff,” Poole says. Although it’s not hard to find a barbecue joint in this Southern city, it’s rare to find one as inventive as Big Rub, which is known for highlighting its slow-smoked, fork-tender meats in specialty sandwiches and tacos—a favorite being the hero taco constructed with brisket, brisket sauce, cheese, crushed Doritos and avocado (pictured above). Another favorite is the Smoke House Taco, which packs a locally made, all-natural tortilla with pulled pork, fried onions, diced sweet onion and brisket and barbecue sauces. With inventive concoctions like these, Big Rub isn’t your average barbecue joint. “We’re the next generation of barbecue,” Poole says. 1. Amaze the littles: While adults can spend hours in the Crystal Bridges Museum of American Art, the kiddos can have a blast at Scott Family Amazeum (479-696-9280) where they're encouraged to climb, think, enjoy art and do science experiments with Hershey's candy. 2. Bike the day away: There are multiple biking trails in Bentonville, including the Slaughter Pen Mountain Bike Park that sits just minutes from Big Rub and offers trails for beginner, intermediate and advanced riders. If you don’t want to pack your own bike, rent one at Phat Tire Bike Shop (479-715-6170). 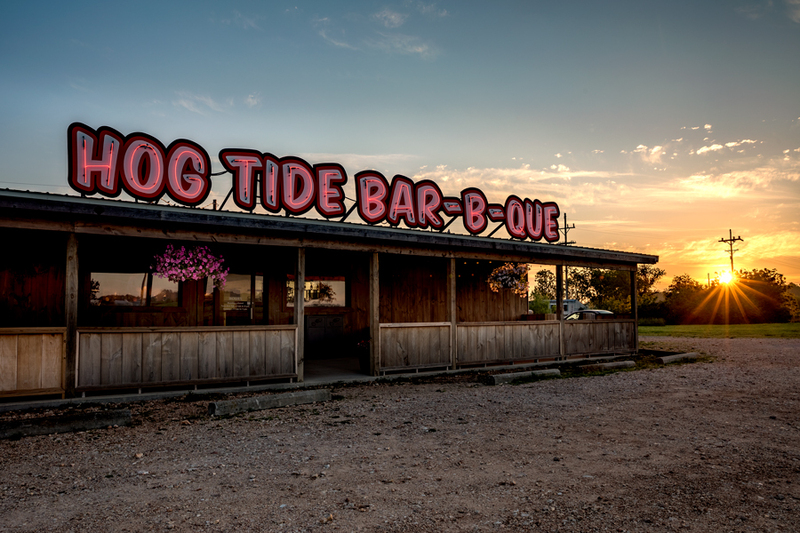 Drew McNatt’s alarm starts buzzing at 4:15 a.m. each day, giving him time to drive to Hog Tide Bar-B-Que (417-986-4227) and wrap the meats on the smoker at 5. This has been the norm for McNatt since he opened his Aurora restaurant and Kimberling City food truck this past May, but the craft of smoking meat is one he’s known much longer—he started competing in barbecue competitions in 2006, and he didn’t stop until he had more than 300 awards and trophies under his belt. After nearly a decade of balancing weekend road trips to competitions all over the country with a desk job at Walmart Corporate—a role he had for 17 years—McNatt decided to go into barbecue full-time in 2016. And the people of 417-land should be forever grateful because he’s serving all of his trophy-winning recipes. The burnt ends are one of the most popular items up for grabs at both Hog Tide Bar-B-Que’s restaurant and its food truck. If you want a taste, plan to arrive early. SHUT IT AND FORGET IT: “People want to look in the pit and look at their meat smoking, but if you’re looking, you’re not cooking,” McNatt says. Keep the smoker closed to maintain your meat’s steady temperature. GO FRUITY: People often use hickory and mesquite woods to smoke, but they can produce an overly smoky flavor and leave a burning aftertaste. Consider fruit or pecan wood for a milder smoke taste. 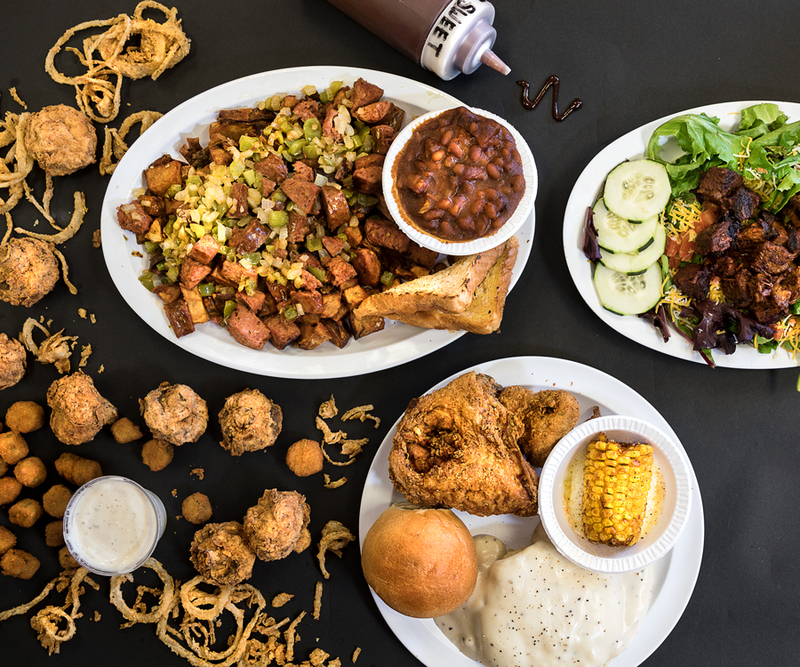 A few of our Bootleggers favorites include the brisket, the ribs, the smoked turkey and the one-of-a-kind homemade pulled pork egg rolls. If you can bake it, you can smoke it. Just ask Brian Staack, who owns Bootleggers BBQ (1464 Gibson Ave., West Plains, 417-204-4515) with his wife, Jessica. When his restaurant guests are ready for dessert, Staack offers up smoked chocolate chip and bacon cookies, which start off as a ball of scratch-made dough when they’re placed in the smoker. A few hours later, they come out with all the usual qualities of a just-baked chocolate chip, plus a hint of smoky flavor that’s completed with the crispy crunch of crumbled bacon. Staack has also smoked brownies and cakes upon request, and he smokes unexpected items like Chex Mix and chicken lasagna rolls. In fact, his lasagna rolls are so popular that he plans to add them to the menu. He highlights other creations with inventive daily specials on Nacho Mondays, Taco Tuesdays and Weiner Wednesdays. Yes, all at a barbecue joint. Jessica Staack is a pro at preparing sides and desserts. 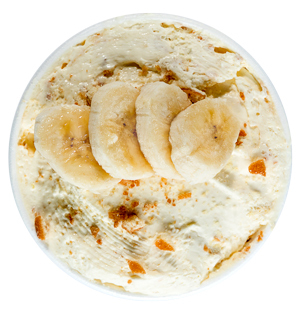 A favorite is homemade banana pudding—creamy, dreamy and delicious. Of course, if it’s traditional barbecue you’re after, Staack has plenty of that up for grabs, too. The menu at Bootleggers boasts a fat and juicy selection of pulled pork, brisket, burnt ends, sliced turkey and some of the best ribs we’ve ever tried—the kind that pack plenty of meat and are finished with a slightly sweet, just-crisp-enough bark that comes off on your fingers and makes you want to lick them on the spot. The smoked turkey is surprisingly juicy, and there’s so much pulled pork spilling off the pulled pork sammie that you’re forced to eat it with a fork. That pulled pork also comes in the form of pulled pork egg rolls—a house-made appetizer that combines the meat treat with coleslaw and French fries. “We do all the basics, but with a little twist,” Staack says. And these egg rolls are the perfect way to try a classic barbecue staple in a fun new way, the same as Staack’s specials like Frito pie hot dogs or pork-on-pork nachos. But whether you go funky or classic, be sure to at least try some of the traditional ’cue, too—a rib if nothing else. Just wash off those fingers before you hop back in the car. The Big Ed is a customer favorite not found on the menu. It towers with a quarter pound each of pulled pork, sausage and brisket. Set a reminder on your phone for 8:30 a.m. That’s when you’ll need to call The Bar-B-Q Joint (416 S. Neosho Blvd., Neosho, 417-312-8811) with your lunch order if you want any chance at feasting on pulled pork, brisket, ribs and sausage that have been smoking all night. The restaurant starts taking calls at 8:30 a.m., and if all the meat is claimed before 11 a.m., then the restaurant doors don’t even open. Better luck tomorrow. The family restaurant, run by Donna and Bobby Matheson with their children, Elizabeth Rogers and Clayton Matheson, and Clayton’s wife, Erica, keeps people coming back for more with old fashioned recipes all handed down from Donna’s mom. Clayton and Bobby are in charge of the meat, loading the smoker with nearly 200 pounds of beef and pork every night at 10 p.m. The two man the double-sided smoker all night, keeping the fire going with a mix of hickory, pecan and oak woods and rotating the meat from the hot side to the warm side before starting to pull it off for orders at 9 a.m. the next day. Clayton grew up cooking with Bobby’s mom, and he keeps the tradition alive now for the people of Neosho. Inside, Donna, Elizabeth and Erica make the baked beans, mac-n-cheese, potato salad and coleslaw from scratch. The family started making barbecue meals for family and friends and got such good feedback they started a catering business. Then they traveled to nearby towns to try other barbecue restaurants and started entering their food into local festivals. A few first places was the reassurance they needed to know their food was good enough to open a restaurant three and a half years ago. You can only dine in on weekdays because weekends are busy with catering and competitions. If you do luck out and stop by on a day the restaurant is open, you’ll be able to smell the smoke before you even get out of the car. The double-sided smoker is right out front, and you’ll probably see Clayton and Bobby mastering their craft. Walk inside the small eatery and you’ll immediately be surrounded by license plates from around the country. The collection started with Elizabeth and Clayton’s uncle’s dad collecting plates through his job as a car salesman. When the family opened the restaurant, they knew they wanted a Route 66 theme. Classic rock plays on the radio as you read the chalkboard menu and order at the counter. As you enjoy your one-, two-, or three-meat plate, see what destinations other customers have brought plates back from. Pro tip: get a bottle of Hog Slobber for your table. Don’t let the name fool you—the jalapeño relish is a little spicy, a little sweet and a lot good. Get your barbecue fix with a chopped brisket-topped salad. Hungrier? Try the signature sausage skillet made with fresh-cut fried potatoes, peppers, onions and Fat Daddy’s homemade sausage. 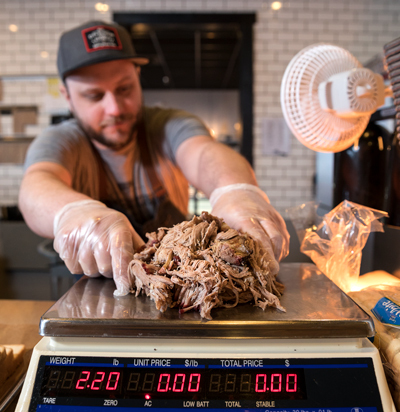 Today City Butcher’s pit master Derek Pittman handles much of the brisket prep, but long before Smith handed over the reins, he headed to Texas with his former business partner so they could get a taste of what they wanted to create. “I went to culinary school in Austin and fell in love with Texas barbecue,” Smith says. He wanted to find a way to replicate Texas brisket—specifically the brisket served at Franklin Barbecue in Austin. “Bon Appétit named Franklin Barbecue the best barbecue in the world a few years ago,” Smith says. After Smith and his former partner returned from their culinary tour, they got to work. “It was a lot of reading books and watching YouTube videos,” Smith says. As they learned tips and tricks, they fired up the smoker and tested them, and they didn’t stop until they found their benchmark brisket. The result is a meat that’s extremely juicy, moist and unlike most brisket you can find locally. “A lot of times brisket in Missouri is kept pretty lean,” Smith says. “The idea people have here is to get away from the fat. But the difference in Texas-style is leaving the point on—that’s the fatty point of the brisket—and cooking that brisket whole.”After the low, slow cooking and resting process—which includes around 20 hours total—the brisket is sliced on the thicker side, weighed at the counter and sliced to order. 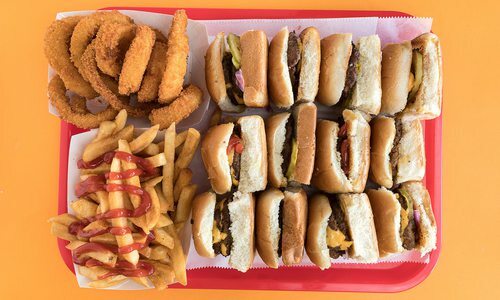 Some of the best food in KC is found in a functioning gas station—no, we’re not talking about lukewarm hot dogs. Owners Jeff and Joy Stehney founded Oklahoma Joe’s, now called Joe’s Kansas City Bar-B-Que (three Kansas City locations) as a way to pile on the pork (and beef and turkey and sausage). Joe’s Kansas City is known for its perpetually popular burnt ends and famous Z-Man sandwich made with slow-smoked brisket, provolone cheese and crispy onion rings. Barbecue joint staples of sticky floors and dingy walls are nowhere to be found at Q39 (1000 W. 39th St., Kansas City, 816-255-3753). 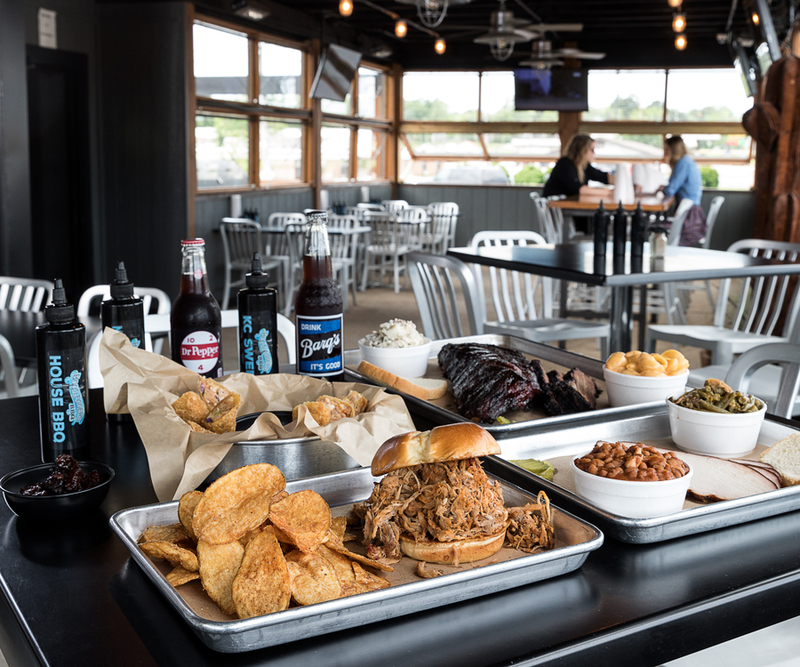 Chef and pit master Rob Magee and his wife, Kelly, conceptualized a rustic urban restaurant where he could serve his award-winning barbecue (some of which is finished in a wood-fired oven to retain moisture). Smoked meats aren’t the only things offered here. 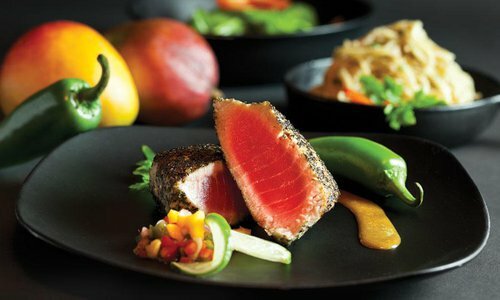 Seafood, fondue, salads and cocktails are also menu highlights. Honor one of the grandfathers of Kansas City barbecue by stopping into Arthur Bryant’s (1727 Brooklyn Ave., Kansas City, 816-231-1123). Charlie Bryant, older brother of namesake Arthur, founded the restaurant in the 1920s. Arthur later relocated right next to Municipal Stadium, drawing hungry sports fans. Arthur was known as Kansas City’s King of Ribs, so helping yourself to a rack slathered in Arthur Bryant’s signature sauce is a must. Plenty of St. Louisians argue that Pappy’s is the city’s best barbecue, but they’re missing out on one best-kept secret, Bogart’s Smokehouse (1627 S. Ninth St., St. Louis, 314-621-3107). The experts who own this joint own a family of comfort food restaurants, so they know their stuff. Their classic offerings have fall-off-the-bone tenderness. Don’t skip the brisket-filled beans or the ribs, which are bruleed with a slathering of apricot preserves for a little extra sweetness. Break out of your shell at Sugarfire Smoke House (various locations). The pit masters smoke damn fine barbecue, but they also whip up unusual delicacies, like smoked fried artichokes, pork belly hush puppies, and balsamic smoked onions. Indulge your sweet tooth at Sugarfire Pie (9200 Olive Blvd., St. Louis, 314-736-6300), adjoining the Olivette location, for smoked chocolate chip cookies by pastry chef and partner Carolyn Downs. 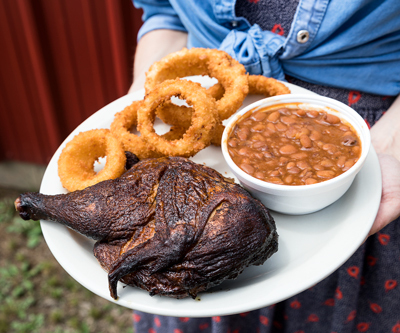 See what the hype is about at Pappy’s Smokehouse (3106 Olive St., St. Louis, 314-535-4340). The pit masters here keep it simple, slow smoking their meats using apple or cherry wood, sometimes for as long as 22 hours. But don’t expect the offerings to last that long. Stop in early because even though they’re open through dinner, most days, the eatery sells out. If there are any left, be sure to order the ribs—Food Network named them the best ribs in America. 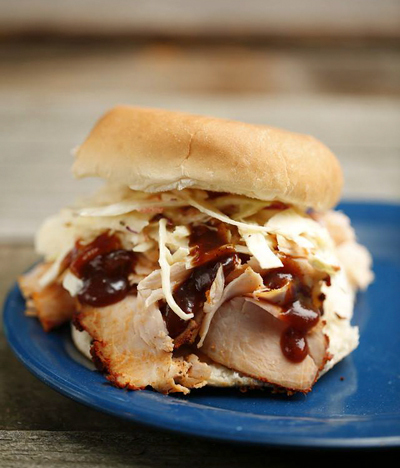 The smoked turkey sandwich is among Central BBQ's award-winning meats, but don't take our word for it. Head to Memphis to try it for yourself. Memphis’s Central BBQ (various locations) is for winners. Pit masters Craig Blondis and Roger Sapp nabbed accolades for their dry-rubbed and smoked meats, and the restaurant has been on Food Network shows and in national magazines. If you are a winner and like to root for winners, there are high-def TVs for catching local games. While you’re watching, nosh on classics like pulled pork, brisket and ribs, or get adventurous and opt for the barbecue bologna or smoked wings. Since 1948, when Charlie Vergos opened a basement sandwich and beer shop, Charlie Vergos Rendezvous (52 S. Second St., Memphis, 901-523-2746) has been a staple in the Memphis food scene. Vergos’s ribs, made with a vinegar wash and a dry rub including Greek- and Cajun-inspired spices, keep guests coming back, but the restaurant serves plenty of other broiled and smoked meats, some of which are smoked in the eatery’s old coal chute, which was converted into a smoker. At Corky’s Ribs & BBQ (various locations), old-fashioned Memphis flavors run the game. Founder Don Pelts slow-cooks ribs over hickory and charcoal, imparting the perfect smoky flavor, but that doesn’t mean Corky’s can’t keep up with the times. Try inventive menu offerings like barbecue nachos, onion loaf or the twice baked potato salad. If you’re really not feeling up to the road trip, you can order online and have Corky’s signature smoked meats mailed right to your door.